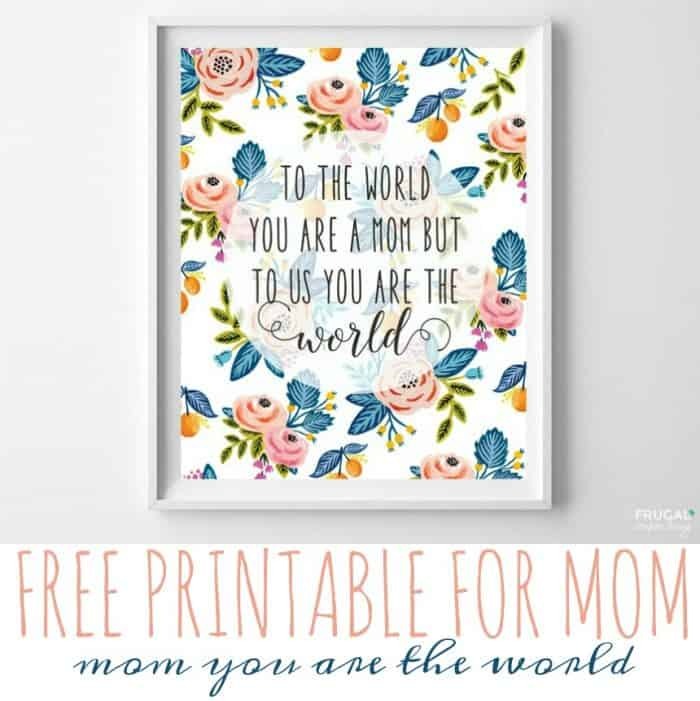 For a Mother’s Day gift idea, instantly download this free Mother Day Quote Printable. 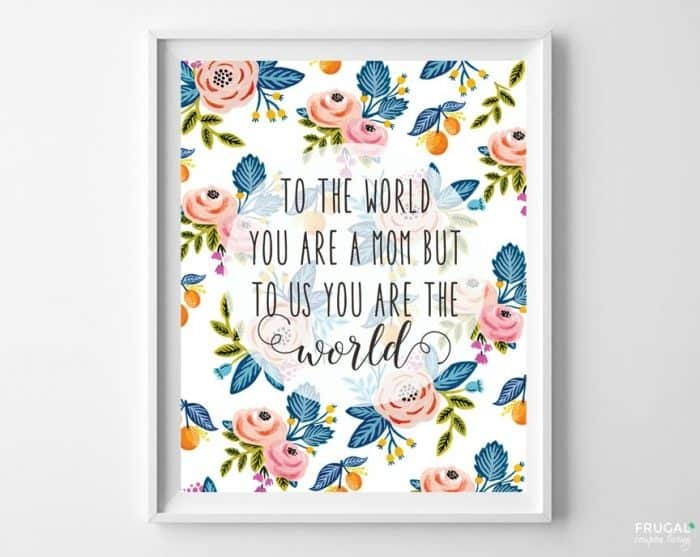 To the world you are a mom, but to use you are the world! My biggest reward in life is being a mom and I want to be reminded of that every day. From the moment I wake to the lay my head, my thoughts are on my kids. Worries, to prayers, to laughs, and cuddles, my kids surround my day. This sweet printable makes the perfect gift for mom on Mother’s Day, a birthday, a recognition and more. Simply print the free printable and frame. We placed in a white frame with a little bit of a white boarder, but you can display and design as you like. 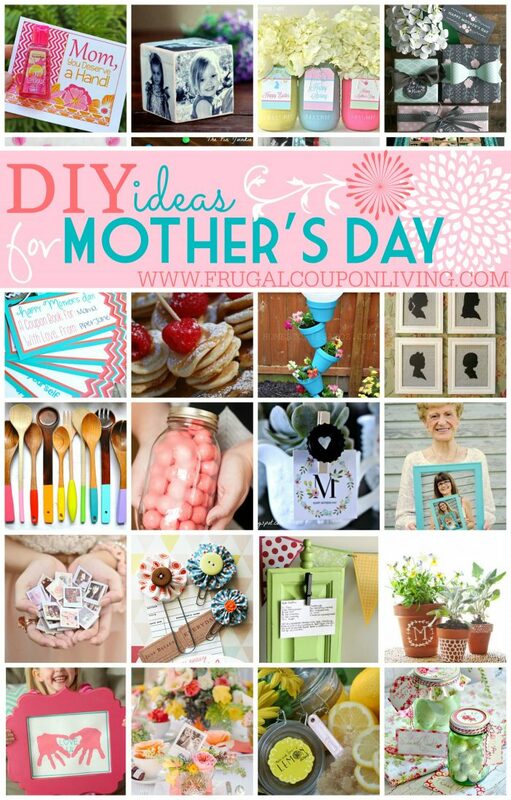 Also take a look at our DIY Mother’s Day Ideas. Pin to Pinterest. 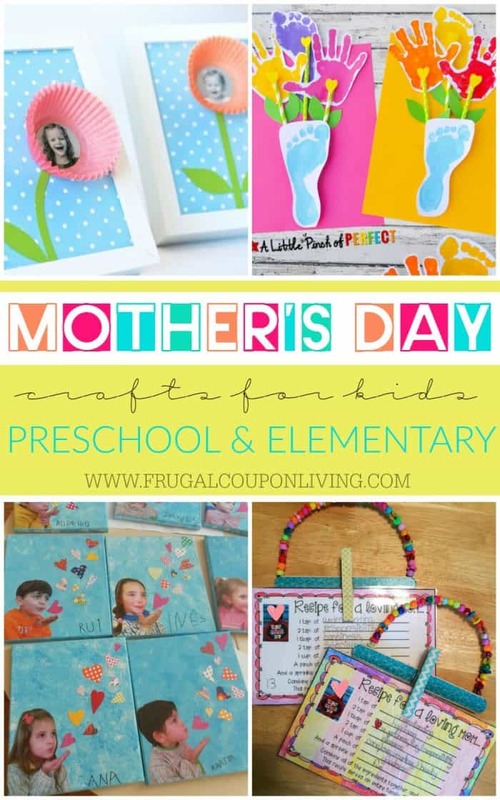 Also check out our Mother’s Day Crafts for Kids: Preschool, Elementary and More! Pin to Pinterest. 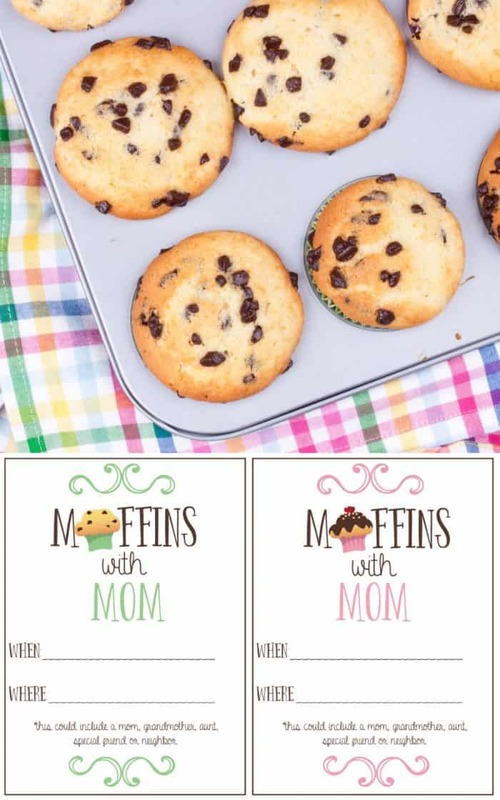 Don’t forget our Muffins with Mom Printable Invite. Pin to Pinterest.